Fullerton Police Chief David Hendricks, who previously served as deputy chief for the Long Beach Police Department, has been placed on paid administrative leave pending an ongoing investigation into his off-duty conduct, officials said Monday. 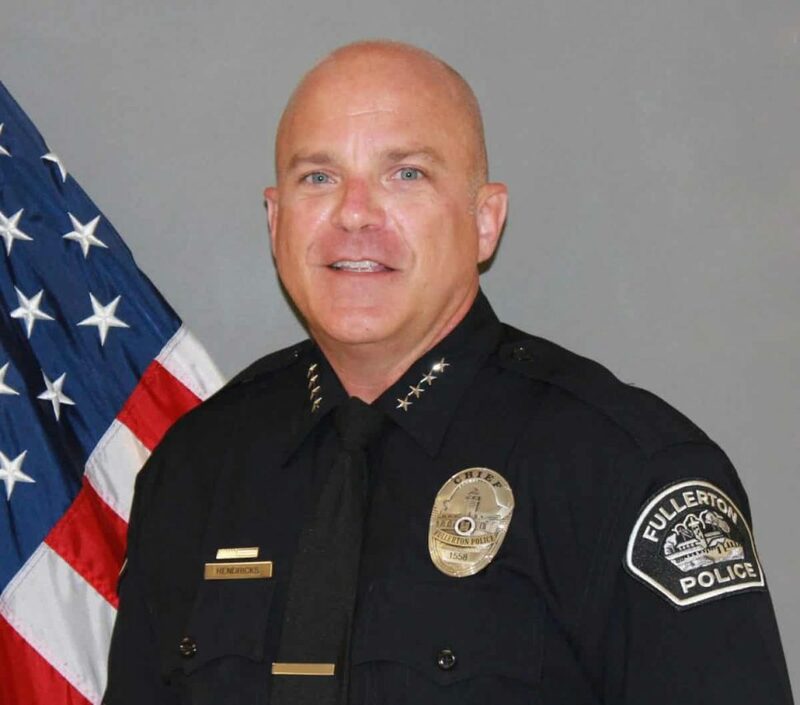 In a memo sent to Fullerton Police Department employees on Saturday, Fullerton City Manager Ken Domer said Hendricks and another officer were immediately placed on paid administrative leave Saturday pending an ongoing investigation. Captain Bob Dunn will serve as acting chief until further notice, he said. The Fullerton Police Department declined to comment citing personnel matters. Hendricks served in the Long Beach Police Department for 23 years and rose to the rank of deputy chief before before being appointed as Fullerton’s top cop in July 2017. Hendricks succeeded former Police Chief Dan Hughes, who was brought in to help improve the department’s image following the 2011 death of Kelly Thomas, a mentally ill homeless man who died in an altercation with Fullerton officers.